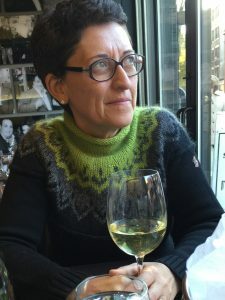 Margherita Aloi was born on a vineyard in the Piedmont hills of northwestern Italy in the small town of Tucci. Her father, Aloi Giovanni Luigi, was a winemaker. There was rarely a time, as Margherita recalls, where she was not involved in helping prepare meals for her dad’s clientele in the wine industry or entertaining his many friends from the local hunting club. It is from these humble beginnings that Margherita rose to national prominence, one of only four women to hold the title of Celebrity Chef in Zagat for five years straight. At age 14 she entered the Culinary Institute of Barolo.Here, traditions about the wine industry, regional agriculture and local cuisine are handed down from earlier generations of chefs, promoting a way of cooking and living that uses local ingredients and products. The summer following her graduation, at 17, one of the judges of her final exam offered her a position at the Castle of Envie, a small prestigious restaurant of only 15 seats near the city of Mondovi’. After only a summer at the restaurant she was recruited by Pino Luongo, a New York restaurateur opening a new restaurant in Manhattan to be called Le Madri (the mothers). The restaurateur wanted to showcase the local cuisine of Italian mothers and grandmothers and he brought three Italian women to come cook their regional specialties. The youngest recruit by 30 years, there was much buzz about Margherita Aloi the young newcomer who had caught Luongo’s discerning eye. Margherita arrived in New York in the spring of 1989 (her father even had to sign her passport in order for her to leave the country because she was only 17). Without speaking one word of English she began working at Le Madri as a fresh pasta maker and three months later she met Cliff Pereira, her future husband. Margherita worked within Luongo’s corporation for about twelve years, taking over the position of Executive Chef at Le Madri in 1998. In the fall of 2001 she partnered with Christopher Mazzilli to open Arezzo in New York. The restaurant opened with rave reviews. It was in this period when the press and critics began to truly take notice; she appeared in Crain Magazine’s “Forty under Forty” – a list of the city’s young rising stars in the New York business world in 2002, topped Zagat’s list and made regular appearances for events at the James Beard House. In 2004, she visited New Canaan, commissioned to do consulting for Bel Mare Restaurant. Taken by the beauty, peace and grace of the town, Margherita decided to move and became the restaurant’s Executive Chef. One year later, the owner sold and Margherita purchased Aloi and called it her home for six years. The restaurant was listed amongst the top in Fairfield County three years and won the CT Magazine title of Best Wine list. She left the restaurant in 2010 in order to devote her time exclusively to her new venture, Il Palio. In May of 2010, Margherita graciously accepted a partnership with Robert D. Scinto, a long-time friend. Margherita received The Trademark Women of Distinction Award in 2017, which was a huge honor for her. Margherita’s passion for food and fresh ingredients has certainly brought visitors from across New England and beyond. The menu at Il Palio changes seasonally and showcases fresh ingredients from local farms. Her genuine love of food and wine, and her creativity and skill in the kitchen has catapulted her to the top and will undoubtedly keep her there for years to come. Her hope is that her customers will continue to enjoy eating her food as much as she enjoys making it!